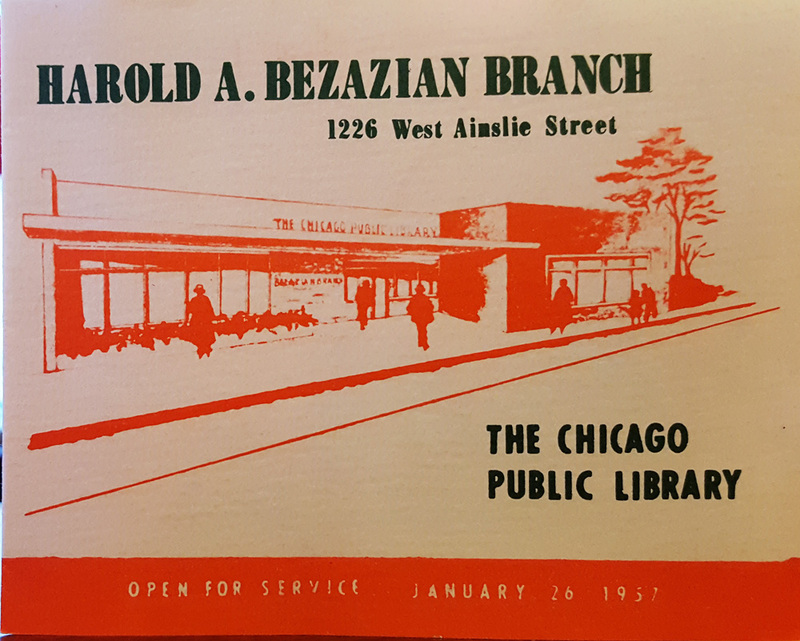 This is the 60th anniversary of the branch, and most of its programming this year will concentrate on Uptown and the library's place in it. Next Saturday, March 18th, the Forgotten Chicago folks will hold a talk at the library between 2pm and 4pm about the past 60 years in Uptown. The library is located at 1226 West Ainslie, at Magnolia. THE BEZAZIAN BRANCH’S 6OTH ANNIVERSARY! 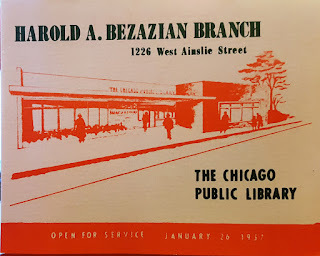 Join Forgotten Chicago on Saturday, March 18 as they help celebrate the 60th anniversary of the Bezazian Branch of the Chicago Public Library with an all-new presentation! 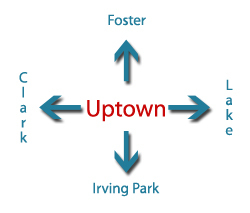 We will explore the past and present history of the Uptown community, and the curious remnants of Uptown history that are hiding in plain sight. 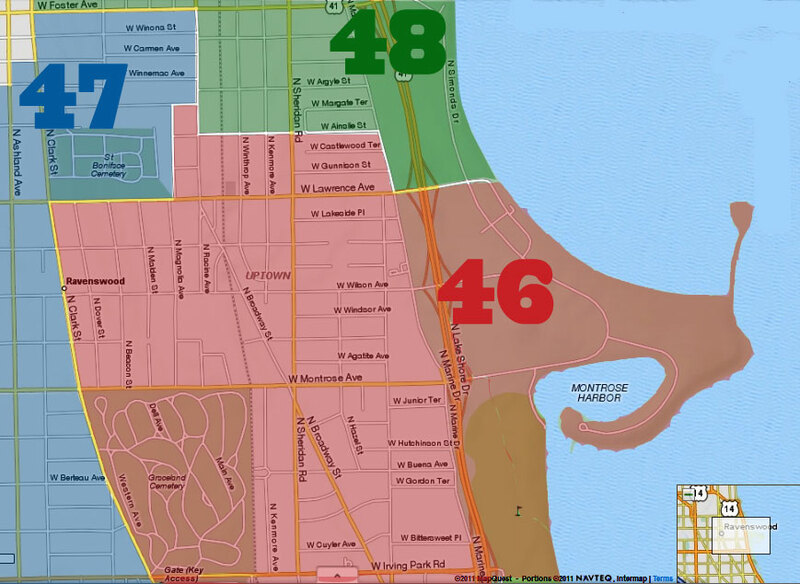 We will also look at the incredible growth and change happening throughout the Chicago region the year the Bezazian Branch opened in 1957, including building the region’s expressway and tollway system, urban renewal, and the enormous number of new housing, retail and office construction in the region."